On the 1 July 2018, we opened our Western Sydney Training Centre, in the heart of the Hawkesbury, Richmond. 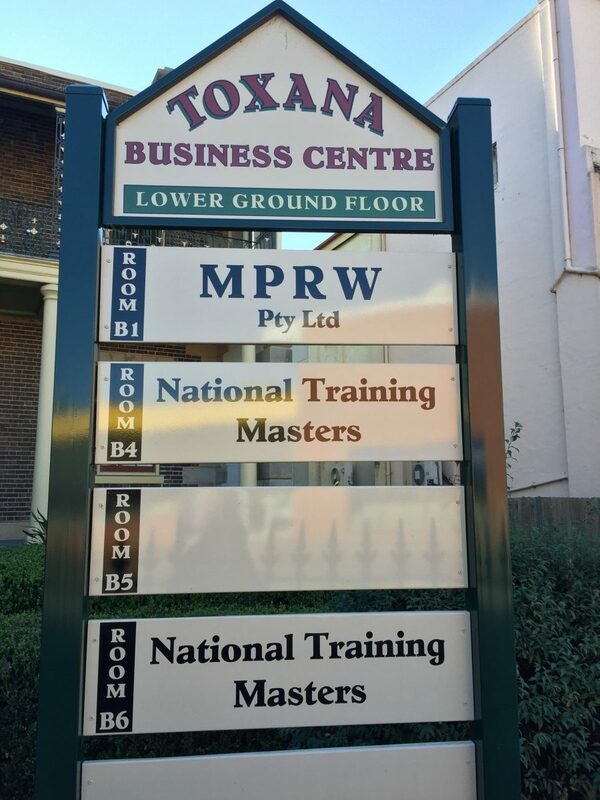 Located in the historic Toxana Business Centre, our Western Sydney Training Centre is a boutique venue for face-to-face training covering the Hawkesbury, Blue Mountains, Nepean and Hills areas of Western Sydney. We are located only minutes walk from Richmond Station and have a bus stop outside our Training Centre. The Western Sydney Training Centre is located only 20 minutes to the south-west of Penrith, 20 minutes north-west of Blacktown, 30 minutes north of Parramatta and only 15 minutes from Castle Hill. 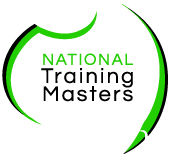 Our courses cover business, training and assessment, management and work health and safety. 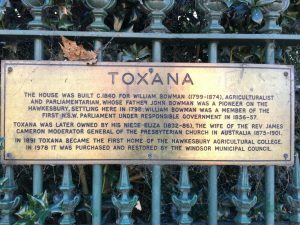 Toxana is a historic building located in the heart of the Hawkesbury, Richmond. 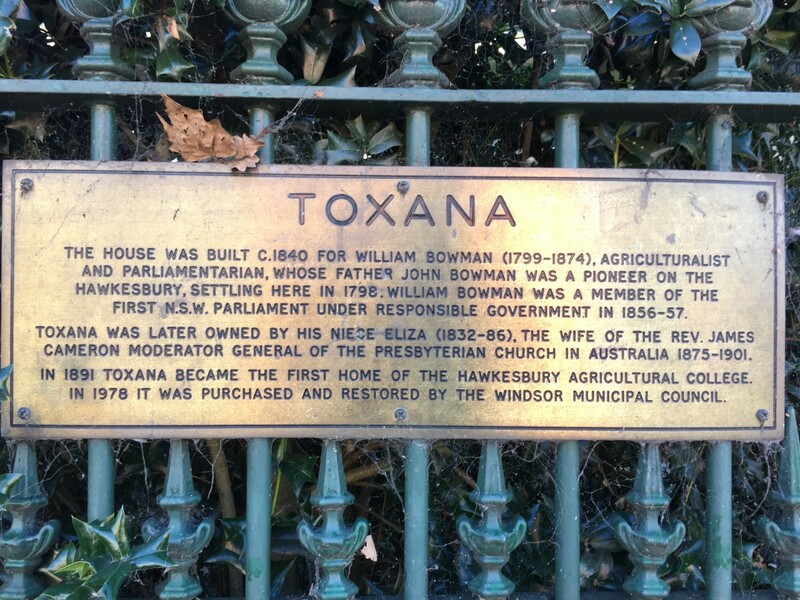 This beautiful building has had a variety of uses, being firstly built by James Melville and George Marlin as a private home, by 1841 for William Bowman an NSW Parliamentarian and his family. In 1891 the building was used as temporary accommodation for students of the Hawkesbury Agricultural College, which is now part of Western Sydney University, Hawkesbury Campus. In 1900 the building was used by the Military for the 3rd Infantry Regiment. In the 1980s the building housed the Hawkesbury Council offices. Recently the building was used as an art gallery, known as the Toxana Basement Gallery. 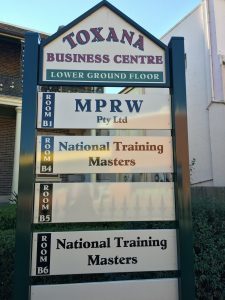 In 2017, National Training Masters moved into the historic building to open the Western Sydney Training Centre, Hawkesbury.